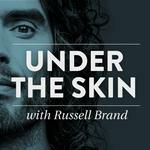 Under The Skin with Russell Brand: #049 Yuval Noah Harari - Are Our Children AI Slaves? An intriguingly optimistic episode, to start off a new season of conversations. Whatever you think of Russell Brand’s past or persona, he has an undeniable gift for crafting engaging, unbanal trains of thought.